Making our way through a mixed audio CD book lot from eBay, Trav (the hubby) and I encountered 1105 Yakima Street and, with no further experience of Debbie Macomber beyond seeing some aesthetically pleasing cover images at the grocery store, we plunged in. The only abridged version of this book is the audio CD format, and although I don’t like the idea of chopping a book down, a free book in the hand is worth a listen, and always provides the possibility of finding a new author. I’ve discovered many series this way such as the Armand Gamache Series by Louise Penny where I started on book five in the compilation and was so captivated by the already installed characters that I bought the entire series and started over. A similar encounter occurred with Jan Karon’s Mitford Series which I also discovered by randomly listening to one of the last books. Even though 1105 Yakima Street is the 11th (and therefore nearly at the end) of the Cedar Cove Series, I remained hopeful that a late introduction might just spur me to start over from the beginning, yet the magic of Louise Penny and Jan Karon’s narratives, both of which are captivating wherever you happen to dive in, was lacking. The story, presented as a more slice-of-life narrative with multiple separate – and completely unconnected –families living in the same town, has the atmosphere of a character driven cozy without any of the lively feeling. The main story involves a couple, Rachel and Bruce, who have recently gotten married. Bruce’s daughter from a previous marriage (the irascible Jolene) is making the new marriage so hellish that despite Rachel’s pregnancy, she has moved out. Through an on-again off-again pseudo communication style including embarrassing public scenes, awkward phone calls, and teenage pranks, the couple attempts to see if they have any future left together. Jolene, meanwhile, continues to grind the axe. Across town, another couple, Ben and Charlotte, are working through the grief of losing a dog. When Charlotte receives a new puppy to temporarily look after, she’s determined to never fall in love with another animal. She struggles to find a new home for the puppy, but his winsome ways threaten to overturn her stark practicality. Lync Wise and his wife, meanwhile, are concerned about his aging mother. It’s probably time for her to move into a retirement home, but how will they break the news to her? Is there a way to soften the blow or is time too much of the essence for niceties? The three stories have no connection to each other and, at least in the abridged addition, they are not given equal weight. The puppy story is cute but predictable, and really a non-story in the long-run. The mother and retirement home quandary is nicely wrapped up in the conclusion, and only rarely mentioned before – sort of a weird aside story that gets in the way of the Rachel/Bruce dilemma, which is treated as the focal point of the novel and, for lack of a better word, formulates the plot of 1105 Yakima Street. One wonders if the non-abridged edition gives the “secondary” stories such negligent treatment. The Rachel and Bruce story is entertaining in its own right, but certainly not deep or especially satisfying. Jolene and Rachel were previously close before the marriage. Only afterwards did their relationship change, which doesn’t entirely make sense. Jolene knew they were together and was comfortable with them dating. Now, suddenly, her anger and blatant disrespect are turning a happy household upside down. A passive-aggressive Rachel, despite being the adult, runs for cover from the decidedly over-acted teen and Bruce proves no more logical against the onslaught. Rachel accuses Bruce of refusing to be the father of the household, man-up as it were, and get his daughter in line, yet both mollycoddle the rotten Jolene to an insensible degree that has readers shaking their heads, disbelieving, and a little bored. To add complication to the matter, Rachel moves away and blocks her new husband’s number, making any solution to the situation untenable and effectively reacting to the immature situation with passive avoidance in hopes that . . . well . . . we have no idea what this is meant to achieve in the long run. Eventually, of course, as the novel moves forward and everyone’s problems are solved from the elderly mother (she conveniently decides on her own that she wants to move to a retirement home) to the newly shattered and then healed marriage. Again, perhaps it’s this mysterious abridging which seems to only be done for the CD version of the audiobook (I have no idea why), but the pace doesn’t match the delivery. The delivery on each story, successively wound up and packaged with all those loose ends tied into a tidy bow, is just so pat, so formulaic, that readers expect a “just kidding” to pop up any minute now, or at least some sort of complicating eleventh hour twist. But no, everyone’s problems from the acceptance of a new puppy to starting over a marriage are cured with equal brevity and a strange non-nonsense style that just destroys whatever aura of storytelling there was. I certainly didn’t hate the novel – I didn’t like it either. I had no reaction – or a non-reaction to it and the characters it portrayed. In the end, I felt like I had read an outline that was never fleshed out, a story more skeleton than personality. 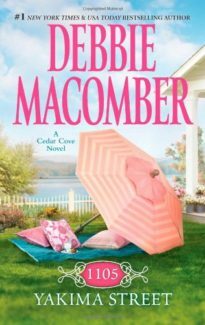 Perhaps it was the abridging, yet it’s hard to see Cedar Cove as a real place, much less a place I want to visit again.